Love Pinterest? We have the contest for you! 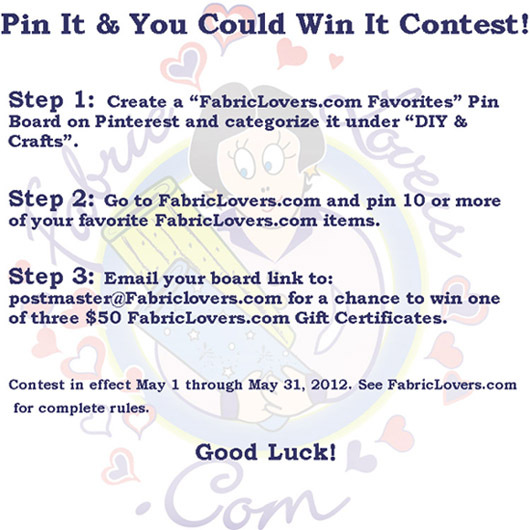 It's easy, and three people will win a $50 Gift Certificate to FabricLovers.com! For full details, click here, then get started pinning!